Protect your laptop in style with these Vegan Faux Leather Laptop Sleeves, available in Black or Camel. Designed to fit most 15" laptop screens, the bag measures 15.75" Long by .75" Wide by 11.5" Tall. Personalize the sleeve with a name, monogram or single initial, and choose from 19 trendy thread color options to match your individual style. The personalization is embroidered on the large front pocket. 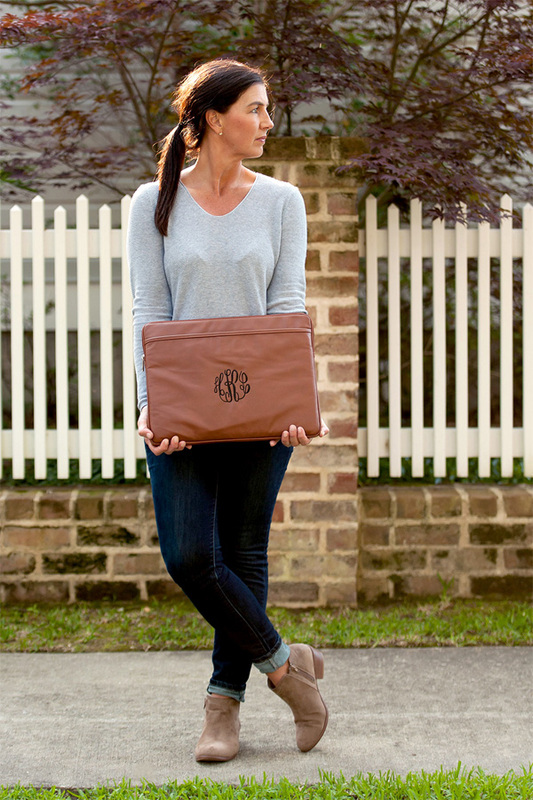 The faux leather sleeve makes for a perfect gift for college students or young professionals. Each sleeve features protective interior padding for safe traveling, as well as an exterior pocket to store items such as a notebook, charging cord, or other easily accessible necessities. 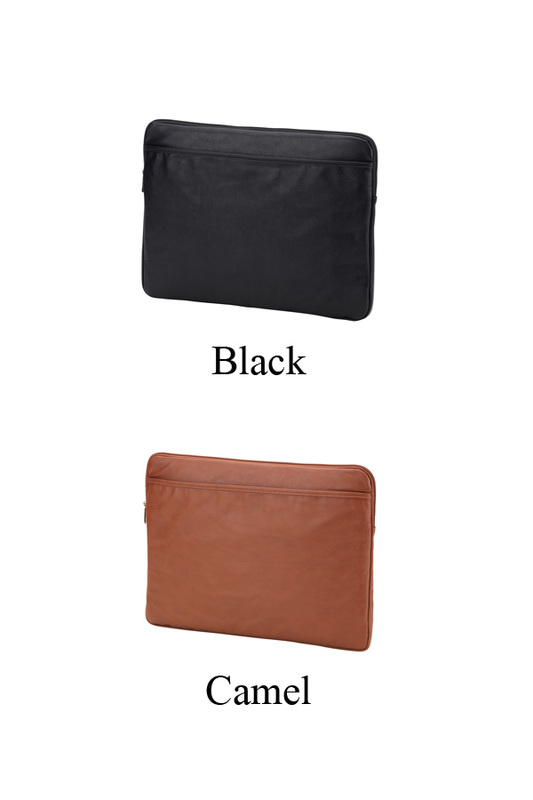 Protect your laptop in style with these Vegan Faux Leather Laptop Sleeves, available in Black or Camel.